If you’ve been in the broadcasting business or had connections to it, you know that spectrum auctions are the FCC’s way of making more room for more options and devices on which to broadcast in the 600 MHz band, but it also means that it squeezes out any mics and monitors that may only work in the reassigned bandwidths. So what does this mean for live sound folks between now and 2020 when the new assignments go into effect? Quite a lot. Keep reading to find out what you need to know, what you need to replace, and when you need to replace it. What is the FCC Spectrum Auction, anyway? The FCC holds spectrum auctions when the HF spectrum becomes crowded or they need to make room for new or expanding media. HF spectrum frequencies go up for auction using a voluntary system in which, working with companies voluntarily auctioning their spectrum, they can open the market after a few rounds of price setting with media companies. Essentially, several rounds of negotiations between the companies who currently own the targeted spectrum and the FCC occur, during which the two bidding/selling parties agree on a market price and amount of spectrum available. Once this is agreed upon and the spectrum auction is public, the FCC gives businesses 39 months to comply with the changes. In this situation, the spectrum has been reassigned to licensees of mobile broadband media on both sides of the spectrum with a handful of exceptions. The 614-616 Guard Band will be open to wireless mics/monitors only, but with reduced transmit power limits and possibly other restrictions. Part of the 653-663 Duplex Gap will be reserved for licensed wireless mic/monitor users (653-657), with restrictions; the other part (657-663) will be open to unlicensed & licensed wireless mic/monitor users and white space devices (again with restrictions). After 2020, the wireless mics and monitors outside of the Guard Band and Duplex Gap zones will not function, and will be illegal to operate on these frequencies. As the transition period progresses, some mobile broadband licensees will begin to use the auctioned spectrum (minus the GB and the DG spectrums), and anyone still using those frequencies for mics and monitoring will have to switch to another frequency to comply with the new law. Once the 39-month transition period ends, any use of the 600 MHz spectrum (except the Guard Band and Duplex Gap) will be prohibited by federal law. If you have equipment in the 600 range, you should be looking into replacing that equipment sooner rather than later on the off chance someone in your area begins using your frequency. Since you will be required to defer to the mobile broadband licensee, it is better for you to be prepared for the switch over early rather than pausing production to upgrade your equipment on a short turnaround. Besides, putting off an upgrade or swap out is just delaying the inevitable, and 2020 will be here before most busy live production people even notice. The industry is already adapting to these changes, and you should be on the lookout for people offering some kind of rebate or trade-in value for your phased-out equipment. 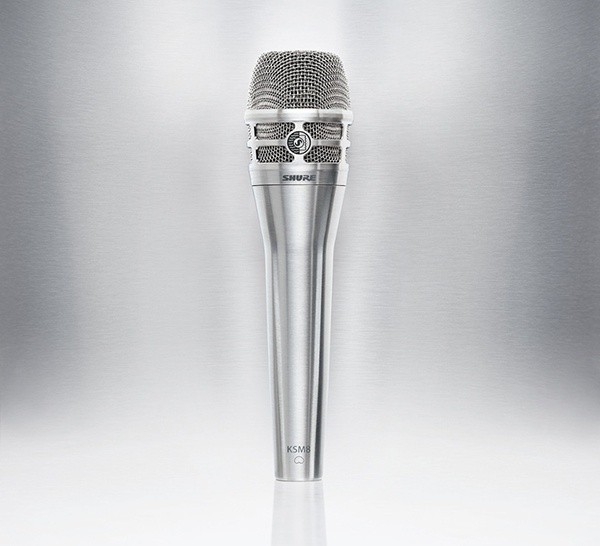 Shure has made it as simple as possible with their rebate program. Fill out our online form to get more details and make sure you are eligible for the rebate. If you're eligible, you can buy your new equipment and complete the online rebate form. From there, box up your old equipment and send it to Shure, and you’ll get a check in the mail in 8-10 weeks. Rebate values vary, but you will be able to use a chart to estimate how much you will get back. No one in any industry likes to be forced to make major equipment purchases, but it’s the nature of media to be flexible and adaptable to the future. The clock has already begun to tick down on the 39-month deadline to update, so don’t wait until the last minute to take advantage of the rebate deal that will only be around through April 30, 2018. Don’t get stuck buying all new equipment. Get your Shure mics and monitors now, and get some smart cash to put back into your business.